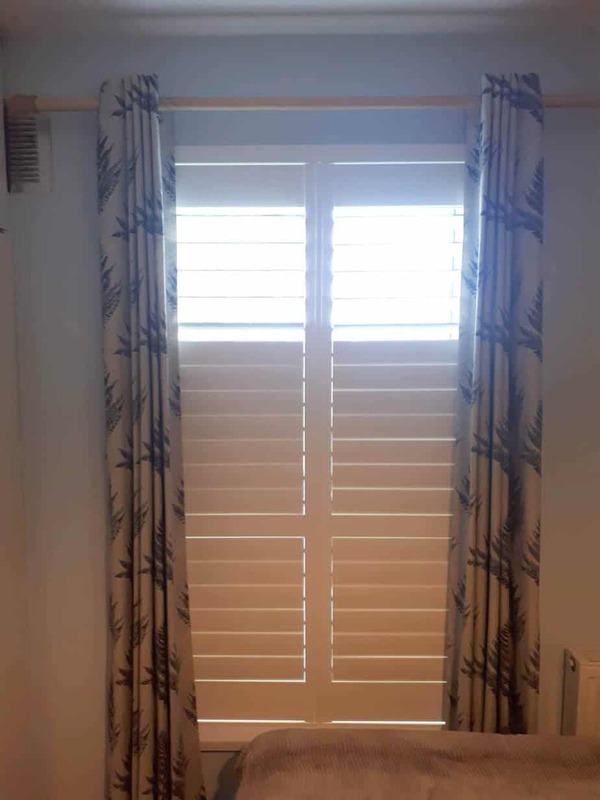 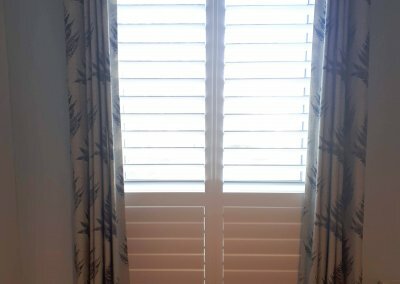 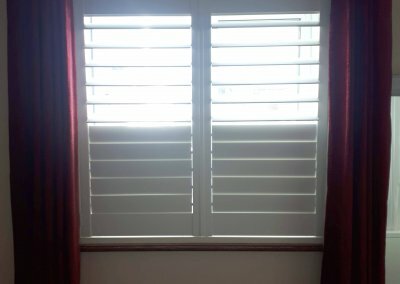 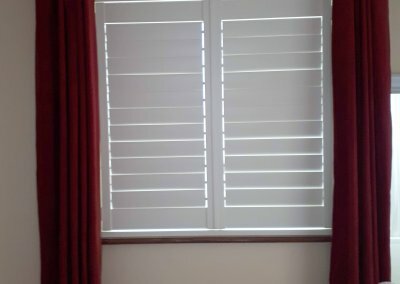 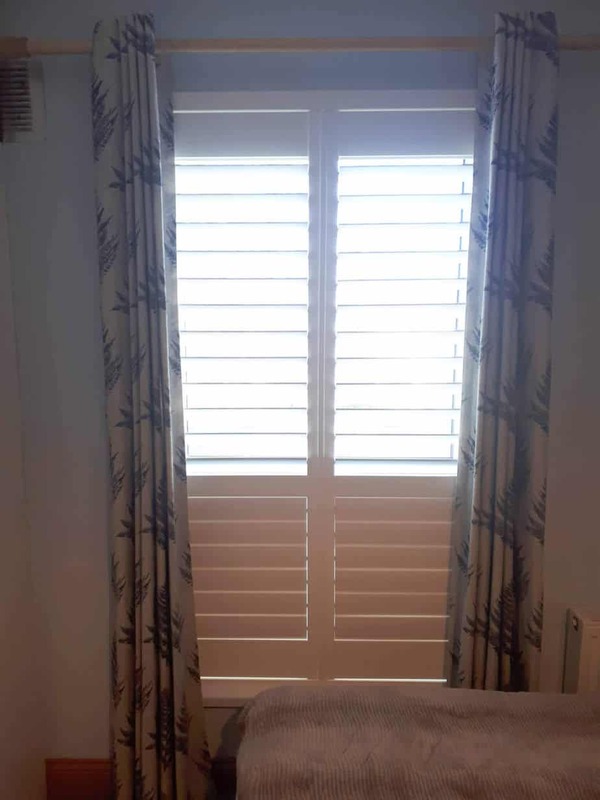 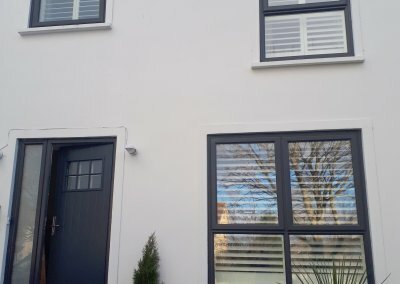 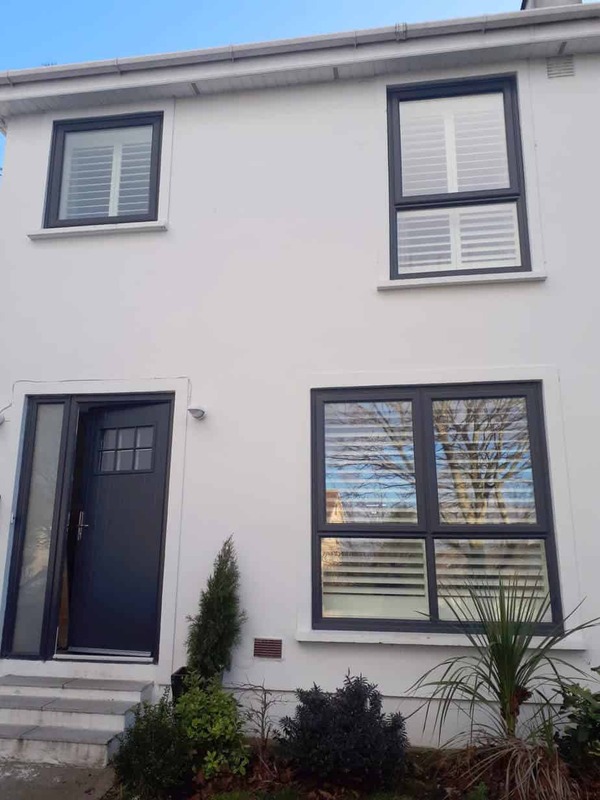 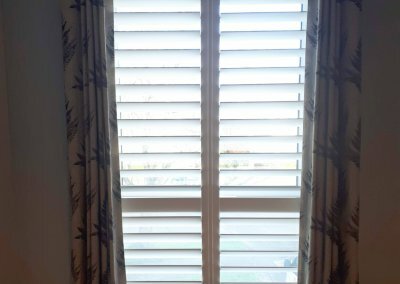 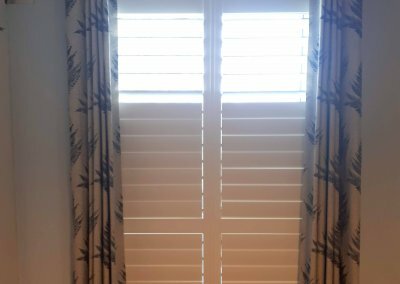 Plantation Shutters installed in Sandyford, Dublin. 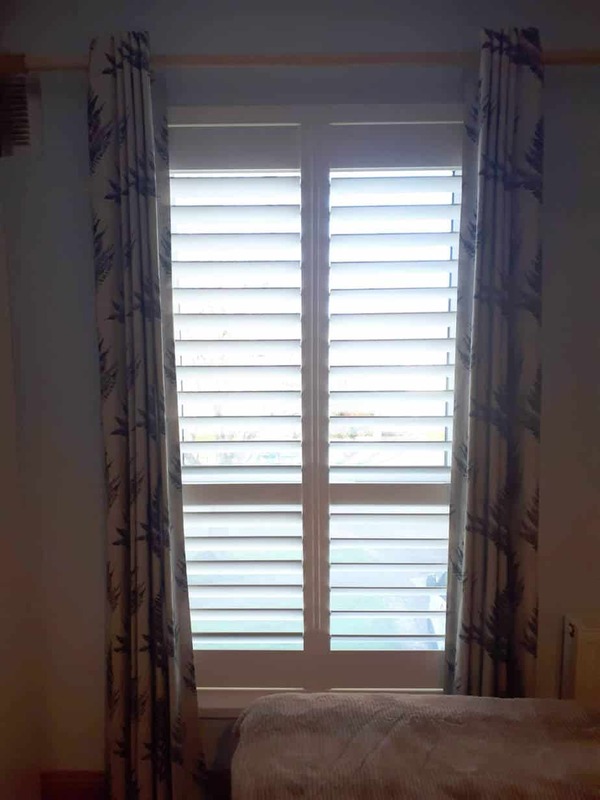 These white plantation shutters have been installed on few long and wide windows. 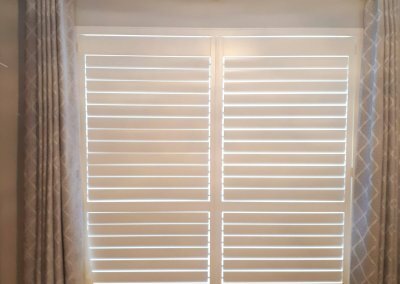 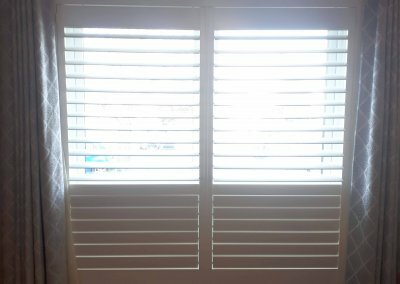 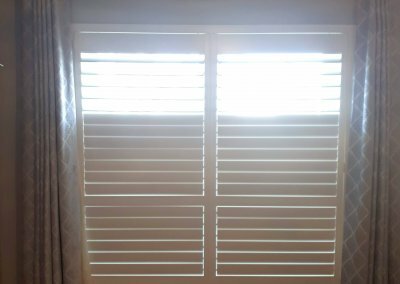 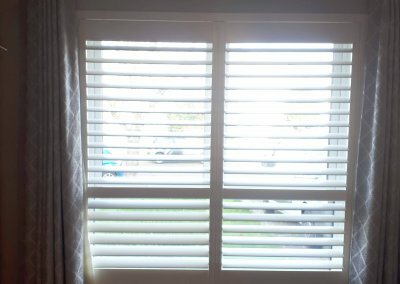 These shutters cover the windows very well and will help you keep the noise out during the night. 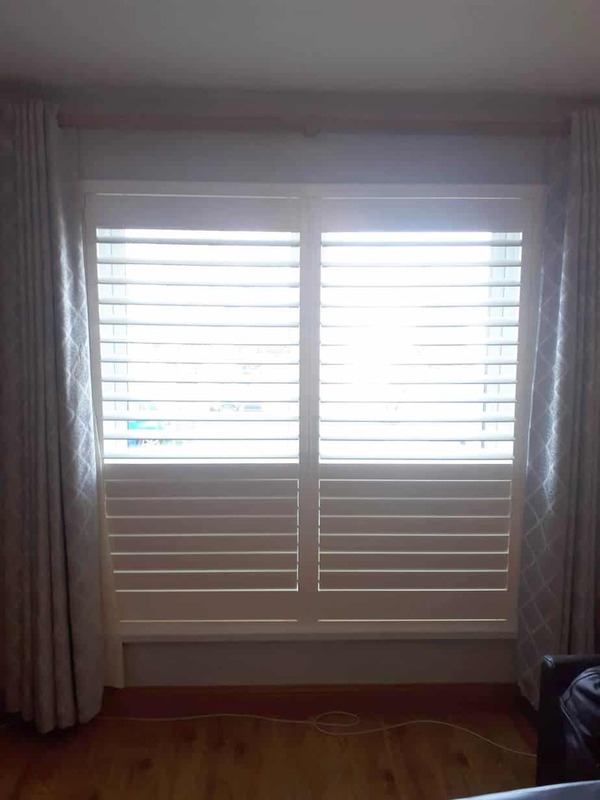 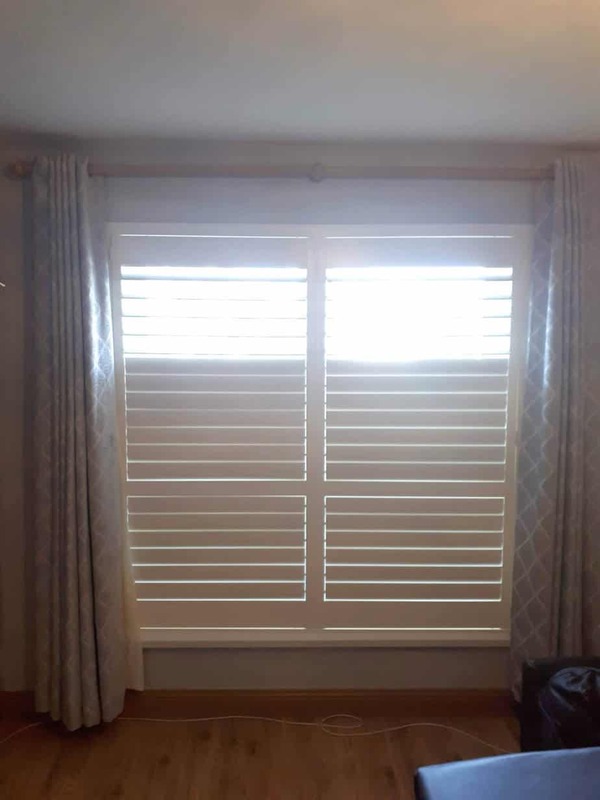 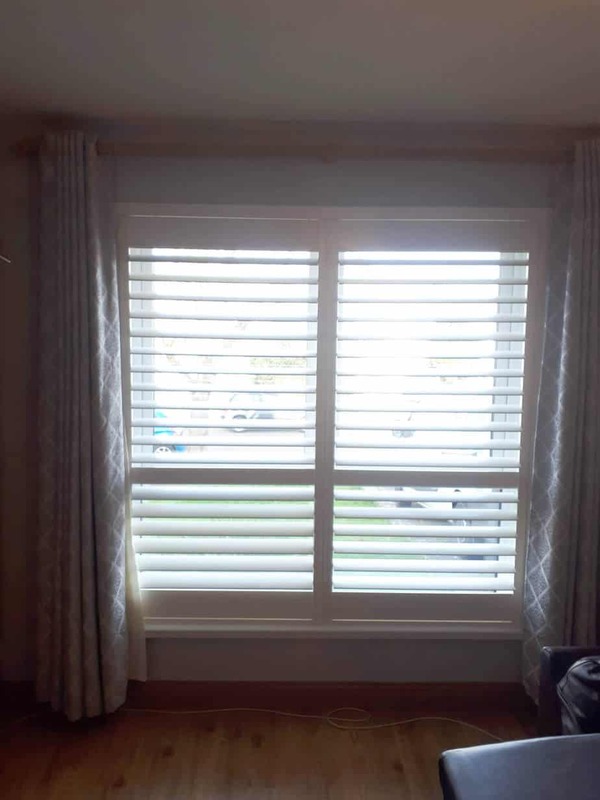 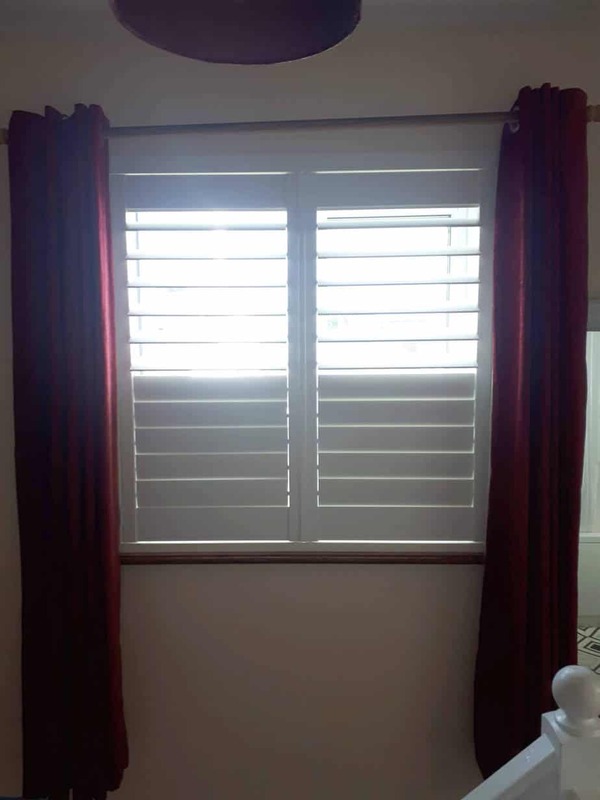 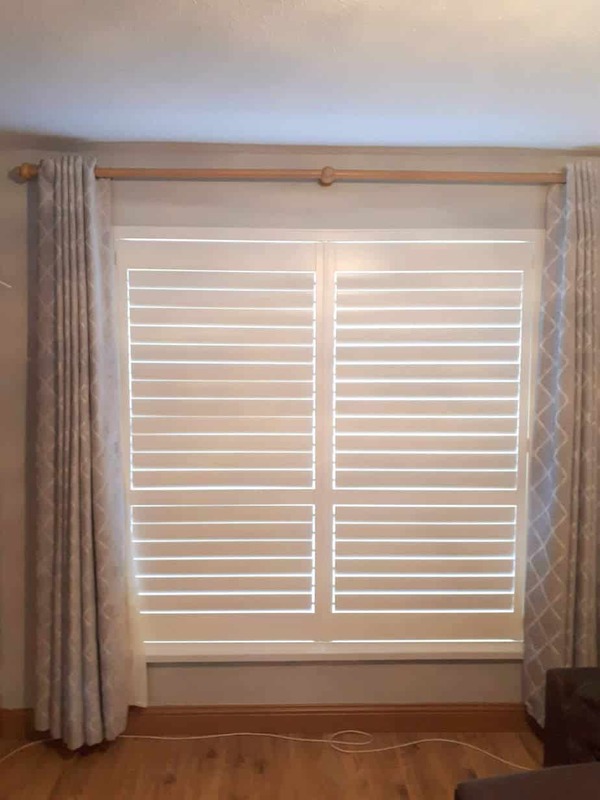 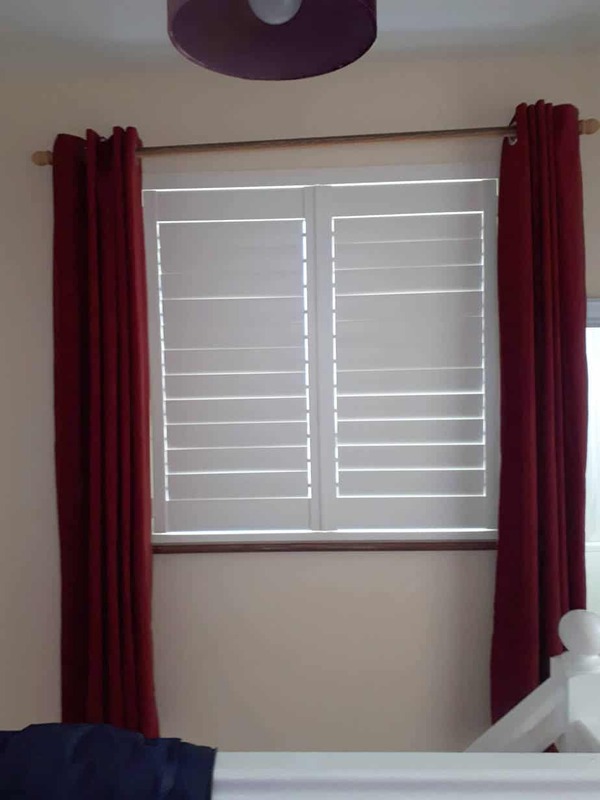 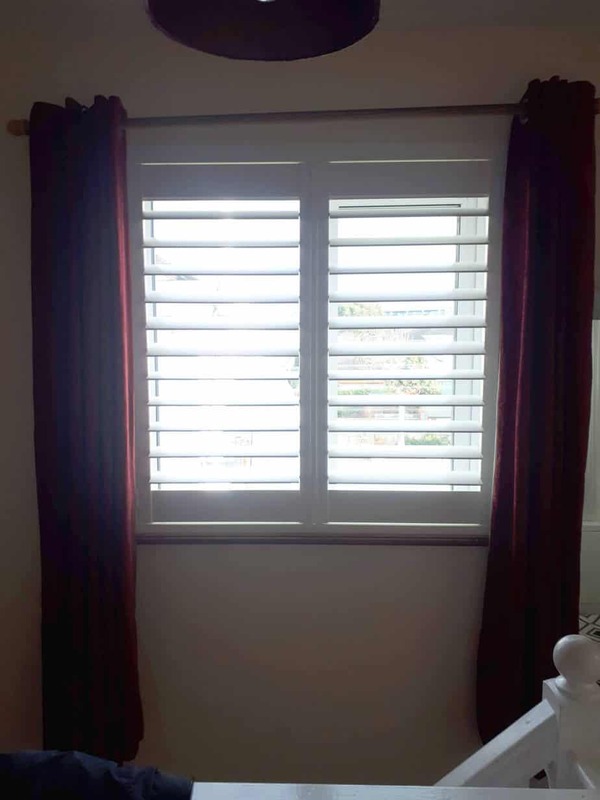 These shutters come with a split tilt and a mi-rail which also matches the structure of the window which means you can have one part open while having the other part closed. 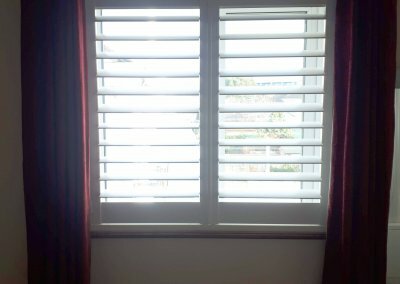 There is also a hidden tilt mechanism which is used for opening and closing the louvres.